Pictures Are Of Actual Guitar! 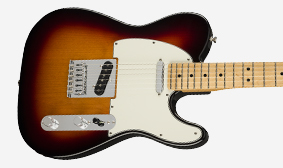 Bold, innovative and rugged, the Player Telecaster is pure Fender, through and through. The feel, the style and, most importantly, the sound—they’re all there, waiting for you to make them whisper or wail for your music. Versatile enough to handle almost anything you can create and durable enough to survive any gig, this workhorse is a trusty sidekick for your musical vision. Designed for authentic Fender tone—with a bit of an edge—the Player Series pickups keep a foot in the past while looking to the future. 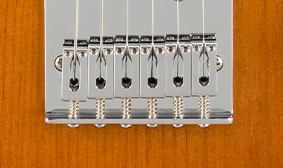 This string-through-body Telecaster bridge features block-steel saddles to add a bit of zing to your tone. 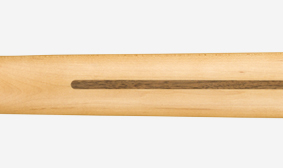 This neck is designed for comfort and performance, with a “Modern C”-shaped profile and a smooth back finish—ideal for almost any playing style. Adding another fret lets you bend the highest D up to an E, giving you access to four octaves of musical possibilities. 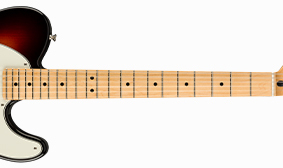 The Player Telecaster body is hand-shaped to original specifications. 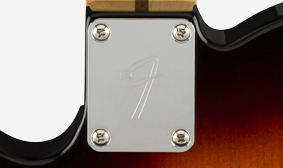 Each Player Telecaster includes an “F”-stamped neck plate, leaving no doubt as to the instrument’s pedigree.